AN impact assessment of the Brexit vote on the North West region including Donegal is to be prepared by Derry City and Strabane District Council. Councillors this week agreed to to appoint "relevant specialist contributors" to assist with the study. 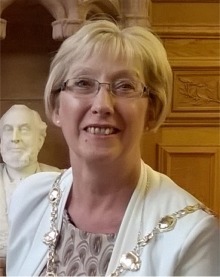 Mayor Alderman Hilary McClintock said the Brexit Impact Assessment Study would "support the delivery of the three regional development pillars - namely regional economic growth and investment; regional physical and environment development and regional social and community cohesion and well being set out in the North West Strategic Group Partnership arrangements. Council chief executive John Kelpie said he envisaged that the study would address issues such as a macroeconomic analysis of the North West City Region, identifying its key characteristics and analysis of the impact of UK withdrawal from the EU. Mr Kelpie said he felt it was important that council in its civic leadership role, engaged proactively with key stakeholders in order to "develop an informed strategic analysis". Among the stakeholders identified to be part of the study are Donegal County Council; the North West Regional College and Letterkenny Institute of Technology; the University of Ulster including its Economic Policy Centre and Strabane, Londonderry and Letterkenny Chambers of Commerce. Major employers in the North West region and key community partners will also take part.